Samsung Australia (‎‎@SamsungAU) wanted to increase its brand recognition and help people learn more about its televisions. 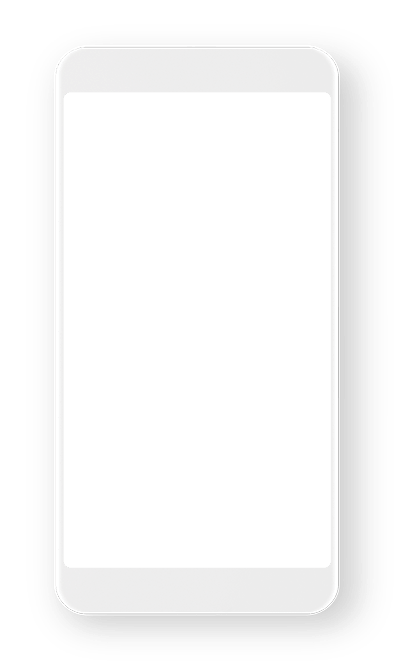 With various technologies, sizes, and shapes available, as well as people’s varied viewing preferences, Samsung saw an opportunity to develop an experience that would help people find the right TV. 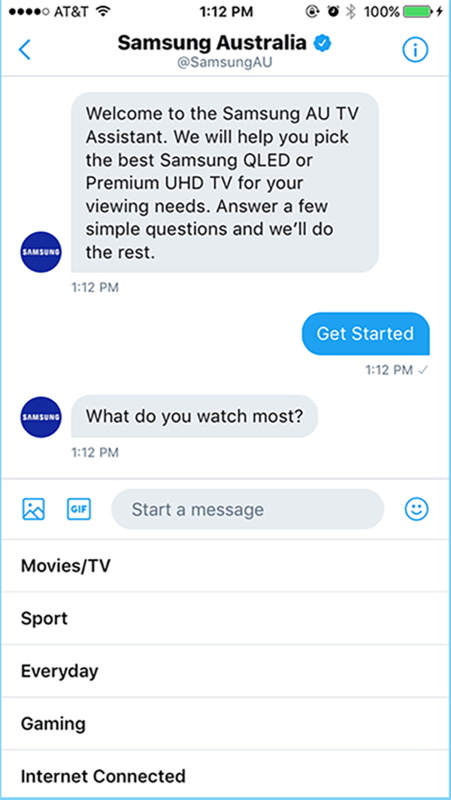 Samsung decided to create a chatbot in Direct Messages that allowed the brand to ask people their viewing preferences and provide them with personalized TV and accessories recommendations. 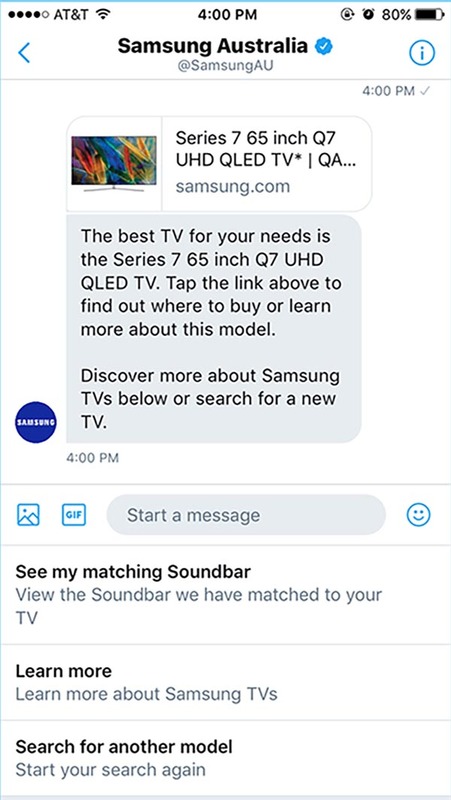 Samsung leveraged Direct Messages on Twitter to create a chatbot which allowed the brand to deliver personalized TV recommendations at scale. Samsung then used the Direct Message Card to run an advertising campaign that targeted people interested in TV, movies, video games, and sports to let people start chatting with the bot in a single click. Samsung used Twitter’s robust targeting options to find the right audience. The Direct Message Card made it easy to grab their attention, start chatting, and engage in a one-on-one conversation with a single click. Create a customized experience at scale. In order to build an experience that could make recommendations at scale, Samsung created a chatbot that could have automated conversations. The chatbot used a welcome message to greet people and quick replies to make it quick and easy for people to respond. The chatbot guided people through a short set of questions, ultimately delivering them the perfect TV based on their personal preferences and needs. At the end of the survey, people received a link that led directly to Samsung’s webpage for that TV model. Not only did the ‎@SamsungAU chatbot have an 89% completion rate, but it also averaged a 1:31 engagement time — 21% longer than average visits to the Samsung website. More than 26% of people who completed the experience and got a TV recommendation went on to get further recommendations for accessories like a soundbar. Ultimately, Samsung was able to generate leads at a quarter of the typical cost with the chatbot.